500 million+ installs strong, PicsArt is the #1 photo editor & pic collage maker on mobile. Download PicsArt and enjoy our tools, effects, collage maker, camera, video editor, free clipart library, 5 million+ of user-created stickers and our drawing tools. PicsArt’s all about making awesome pictures and having fun by remixing free-to-edit pictures into awesome collages & memes. With our collage maker, drawing tools, photo & video editor, camera & more, PicsArt’s your all-in-one creativity suite. And it’s FREE. Show off your awesome edits on Instagram with #picsart, we'll feature our favorite ones! PICSART GOLD Go Gold! 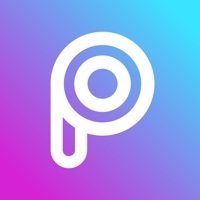 PicsArt Gold give you access to THOUSANDS OF PREMIUM STICKERS, FONTS, FRAMES, COLLAGES AND MASKS! These exclusive PicsArt items can be used in editing & remixing on PicsArt, and shared on and off PicsArt in your creations. Additionally, PicsArt Gold includes an ADS-FREE editing experience & NEW EXCLUSIVE PicsArt content delivered to you bi-weekly. You’ll have access to about $3,000 in premium content for a nominal monthly or annual subscription fee. Payment will be charged to your iTunes Account at confirmation of purchase. Subscriptions will automatically renew unless auto-renew is turned off at least 24 hours before the end of current period. Your account will be charged according to your plan for renewal within 24 hours prior to the end of the current period. You can manage or turn off auto-renew in your Apple ID account settings at any time after purchase. No refunds will be provided for any unused portion of the term. Any unused portion of a free trial period will be forfeited when you purchase a subscription. Limit of one free trial per Apple ID account. https://picsart.com/privacy-policy?hl=en COLLAGE MAKER AND GRIDS PicsArt’s collage maker provides 100s of free templates, & the PicsArt community uploads 1000s of new images every day that can be used as backgrounds. PicsArt lets you make grid style pic collages, templated collages & freestyle arrangement collages. PHOTO EDITOR With 1000s of amazing features PicsArt includes tools to create cutouts, crop, stretch, clone, add text & adjust curves. It also has a full library of artistic photo filters (including HDR), frames, backgrounds, borders, callouts & more. All tools have a brush mode for fine-tuning & applying selectively on just part of your photo. PicsArt provides 100s of fonts for adding text to your pictures & creating memes. PicsArt also provides a rapidly evolving set of AI-powered, Prisma-style effects. PicsArt allows you to make double exposures using layers with adjustable transparency. Sem aplicativos / jogos adicionados, configure novos aplicativos na página de administração.